This should be tagged as heavily abridged. Its very name strikes fear in enemy hearts. 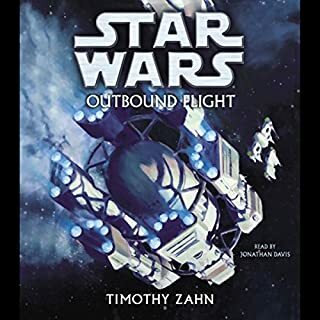 So when Rebel hero Wedge Antilles rebuilds the legendary Rogue Squadron, he seeks out only the best, the most skilled, the most daring X-wing pilots. Through arduous training and dangerous missions, he weeds out the weak from the strong, assembling a group of hard-bitten warriors willing to fight and ready to die. Antilles knows the grim truth: that even with the best X-wing jockeys in the galaxy, many will not survive their near suicidal missions. 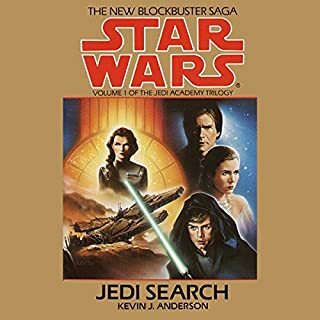 But when Rogue Squadron is ordered to assist in the assault of the heavily-fortified Imperial stronghold of Black Moon, even the bravest must wonder if any at all will survive. More in the X-Wing Series we have. 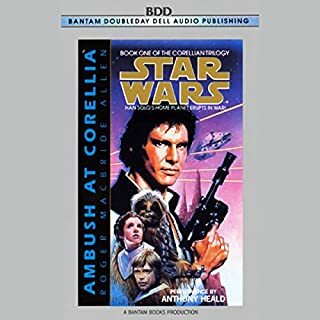 And download all of our Star Wars titles you can! (P)1996 Lucasfilm Ltd. and TM. Henry Thomas's performance is good, but some of the charters sound too similar. 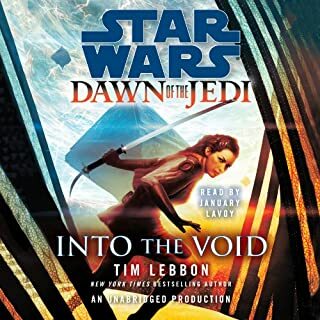 It lacks the details that make it a really good book, as the abridged story just leaves out too much of what make the book so much more enjoyable and complete. It was horrible. Too much sound effects drown out reader. Story was too much abridged. 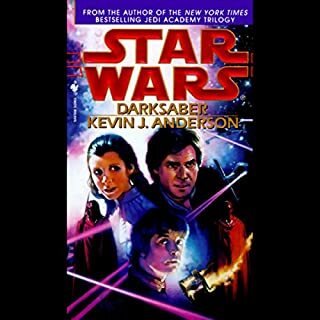 Has Star Wars turned you off from other books in this genre? Yes if they are like this one. Unabridged version is a must. Sounds effects should be very soft in the background not over powering drowning out the reader. Would you try another book from Michael A. Stackpole and/or Henry Thomas? What could Michael A. Stackpole have done to make this a more enjoyable book for you? 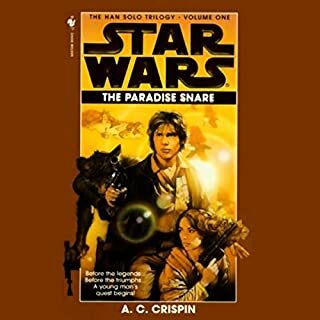 I do not believe the issues here were Stackpole's as I enjoyed the original book itself. 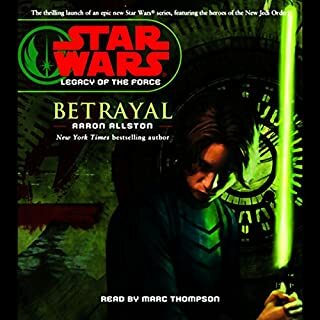 Rather, the story presented for the audiobook was so hacked up that much of the good detail and character development was lost. Have you listened to any of Henry Thomas’s other performances before? How does this one compare? I am not familiar with Thomas' other work. The reading here was rather well done. If there were moments where some characters sounded too similar, it can be forgiven with there being so many characters to deal with. Overall, I liked his delivery, and consider it the high point of this rendition. Disappointment. 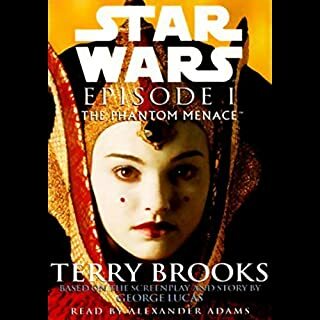 I had not realized this was an abridged version when I bought the audiobook. Even beyond that, there was a particularly poor job done of reducing the work. 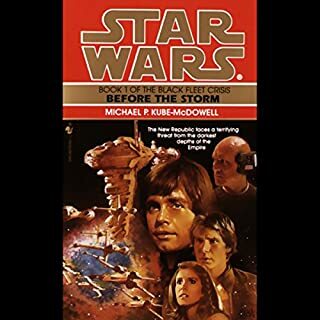 I thoroughly enjoyed the original paperback, yet this script lacks the character development and suspense from the novel. 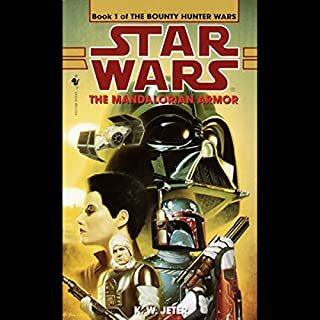 Had I not already been up on the novel itself, this would have been a dull story careening from one barely connected fight to another. Frankly, I expected much better, and will refrain from buying any further abridged versions of this series. 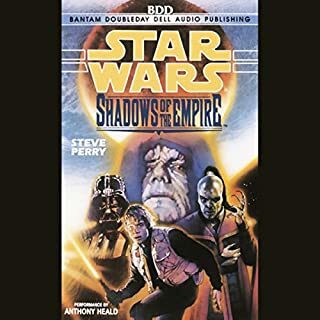 The background noises and effects were entertaining, and could have added a lot to an unabridged version of the book, but they are not enough to save this chopped up script. 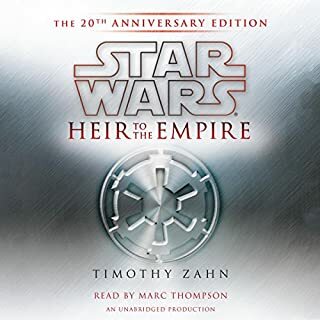 This is the most disappointing audiobook I have purchased to date, and makes me leery of buying any more Star Wars audiobooks. the abridged version is so bad. 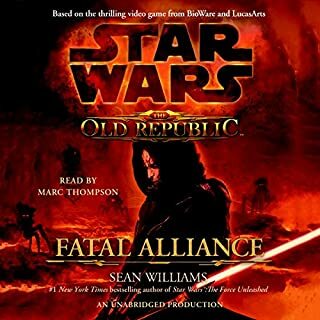 this is to good of a story to even present this chopped up P o s.
I knew it was abridged when I bought it.. and..
an unabridged star wars book... old republic or something. he was fine. not Mark Thompson, but a good second. I am so confused. 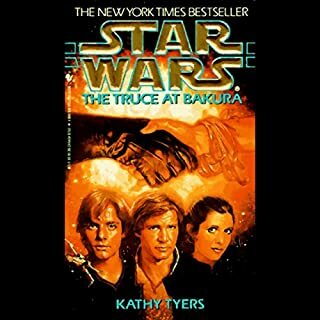 I don't think they did a good job of abridging this book... I have heard good things about the actual book, but this was really lame. I think they cut out all of the jokes and banter and dialog and anything else that would have made this a story and left only the facts. reader was good. too bad the abridging sucked donkeys. Pronunciation accuracy of specific 'Star Wars' names, ships, planets, etc. Obviously the reader hasn't been a fan for long, if at all. Could you see Star Wars being made into a movie or a TV series? Who should the stars be? I've read this series a few times and think there is plenty of substance for TV or movies. Hopefully not by the sci-fi channel... They can't match the CG or the casting to keep up with the original movies. these books would be perfect if they had not left out huge sections of the story. you miss out out on some of the plot and and it makes it harder to understand the next book. apparently deleting the authors words is fine if you add in enough sound effects. no thank you. 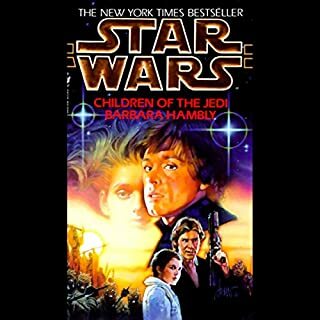 i liked this book as a kid and the story is good but it turned out to be abridged and i couldn't find a mention of that anywhere in the description. additionally the ad sound affects that detract from the reading and making it harder to hear while in the car. 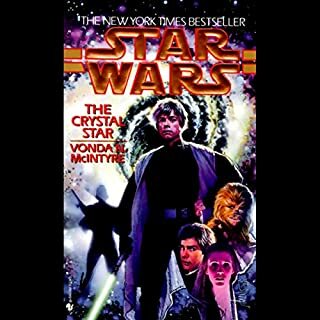 I am a life long Star Wars fan, however never ventured into the expanded universe as much. Yes, condemn me haha. I remember seeing the original trilogy at the cinema when they first came out. Anyhow everyone says this series is great to read. I am going to buy the written version as I have been totally put off by the narrator. As someone said, he sounds bored throughout and really does little to engage a listener. I'm really gutted that this story was so bad. 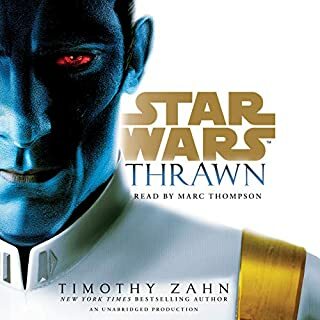 The narrator sounded bored through the whole story and I struggled through it. 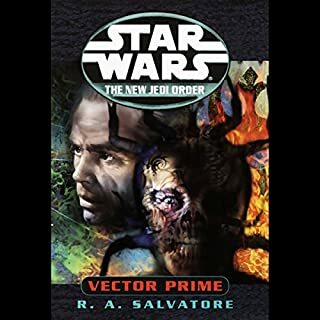 I'll only get the next book in the series if it's a different narrator but I'll even struggle at that. Love the book - even 16 years after reading it! I love the X-Wing series - games, comics and books - Stackpole and Holland really do make the EU come alive for the Rogues and other pilots! This is a beautifully written book and abridged really well. The emperor may have fallen but the Empire still goes on. 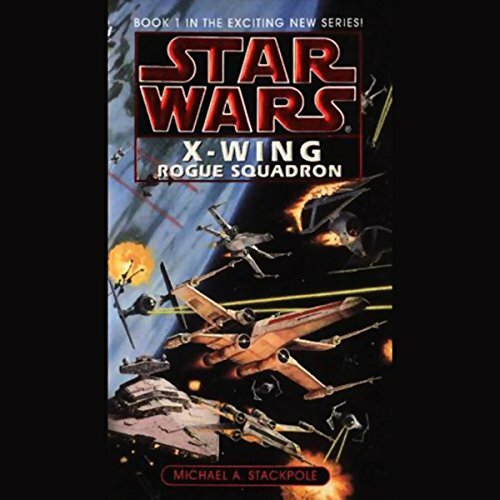 We join wedge(Luke Skywalkers friend) and the new Rouge squadron in the first of nine action packed books. The empire has shattered into a giant power play but a struggling rebel alliance cannot take advantage. A lack of space fleet and indifference from alliance allies proves frustrating for our rouge Hero's.We meet many complex new characters and also see into the early life of many soon to be Jedi.